Jazzii –Well, Well, Well. I have to say that you are much respected in this industry by many, and have been quoted as being the next “Motown” ~ “Motown of the Blues”. Since pairing up with your late husband Mr. Bill Coday you have had much success with your labels. First with B&J Records by signing Mr. Coday as the first artist and then adding the Princess of Southern Soul ~ Karen Wolfe. I do realize that everyday has not been peaches and cream and you have seen some sad moments especially with the lost of B&J Records CEO and your husband, Bill. But it seems that you have bounced back into the spring of things, not saying that you stopped but like with most of us with death come pain. You have had wonderful success with Karen Wolfe’s projects by gaining her national acclaim, her song “Man Enough” is known as a national anthem. Then with a good follow up “Stuttering”. I know that I’m only talking about Karen Wolfe, but my reasoning is she was the twin birth of your label. I do realize that the labels have grown and now you have other artists on your roster, who are they? Jazzii – James Smith, can you tell us a little more about him and how he came about to be one of the artist’s on your roster? Anna – Well, James Smith lives in Flint, MI, and that’s where I was living before moving to Memphis, TN. I was a promoter there in the Flint, MI area and I also had a record store. James Smith was an artist there that used to open up shows for a lot of the other headliners that came to town such as: OV Wright, the Late Johnnie Taylor and Tyrone Davis to name a few. James has been out there for a long time but he was mainly known in the northern part of the country with no recognition down South. And with me promoting shows that is how I met him and later I learned that he was the cousin to my late husband Mr. Bill Coday. James had a song out that was a hit in the north that was called Plumber Man which he released about 10-15 years ago. Since James release, he has had other artists to do a cover of this song. Jazzii – Now, how long have James been with you? Anna – James signed with the first label we had in 2007 which was B&J Records. After I started a new label which is now Coday Records, James resigned a deal with me on the new label. Jazzii – After James who did you sign next? Anna – After James, I signed Terry Wright. Jazzii – Ok, tell us more about this artist. Anna – (Laughing) Terry is aw, Terry is aw (laughing) had been trying to find out who I was and how to get in contact with me. He had a couple of songs out called Two Women In Love With Your Man and Back Road that he was promoting at the time and he was trying to find me to help him. Really, I didn’t find Terry, he found me cause he was looking for a label to sign with. He said he had heard about me and my label and he just kept trying find a way to get in touch with me and he just would not stop until one day he passed by my house….me and my husband was out in the yard…Terry backed back and said there you are “I found you”. And he just kept on until I finally signed him to my label. Basically Terry just would not take No for an answer, so that’s how it happen. Jazzii – And you have another one that I have not given you an opportunity to speak on, correct? Jazzii – Ok, so tell us about the baby on your roster. Anna – Andre Lee, that’s my baby, he’s another one that found me. One night we were doing a show in Jackson, MS, and I had gone back to the hotel. Terry Wright called me and said Andre’ Lee want to meet you. I said what? And he repeated it, and said Andre’ want to meet you and he can cook too. He’s cooking some good B-B-Q, fish and shrimp, let’s go over there. I went over there and guess what? Andre’ talked me into it too. They have real good music, it’s something about their music I just couldn’t turn my back on it, so I decided to give it a chance. Jazzii – OMG. So what’s next for Coday Records? Anna – Right now, I’m trying to get all of my artists and their music out there like I would like to have them national and internationally known, doing shows everywhere so other people will be able to enjoy their music. I’m not looking and don’t intend to sign any one else at this time until I’ve had the opportunity to do this for these that I have on the roster right now. They are really good and I feel they are going somewhere. Jazzii – Yes, I know that you have had a lot of success with Karen Wolfe with Man Enough and then you all came back with a mean follow-up called “Stuttering”. I do believe that I heard one on the radio not long ago by her called You Ain’t No Player (You are just a bill payer). Jazzii – That’s got to be a hurting feeling for a dude or woman, cause we have some women out here that is the only one working now, while their man sitting at home playing Wii or lying on the couch watching One Life to Live, to learn that they are only the bill payer. Anna – Yeah, you know that it is. Now Andre’ has a bad one out to, called “Man In the Drawer”. Jazzii – (Laughing) I’m not sure how to even comment behind that title. Can you imagine a man, thinking his woman is cheating on him with another man or woman…So, he decides to take off from work one day to catch his woman cheating on him and who she’s cheating with. Imagine now he parks up the street so he can see who is pulling into his driveway or going into his yard to cheat with his woman…He have a perfect view that he can see who’s coming in the front or going out the back…..He’s waiting, hours has gone by still no Jody. Now eight (8) hours have gone by and still no sign of Jody. I know he feel like he has the wrong day. So he repeats this every day for a week and still no sign of Jody. Every night he come in just like he has been working, doing his same routine like he have been to work all day…Eat, take a shower, getting comfortable before bed….going in the different dresser or chest drawers, not noticing a thing. The only thing he knows is, he’s not getting any action from his woman. Now to make a long story short, cause I know you can see where I’m going with this story…After weeks has gone by and he don’t see Jody coming or going but his woman is still cheating on him but he don’t know how cause he’s watching his house to find out that the man his woman been cheating with has been right under his nose the whole time…He’s ten inches tall, run off of “Every Ready” batteries and lives in his house in the drawer. (LOL) I can just imagine the look on that joker face when he finds out that the man his woman been cheating with is the man in the drawer. Anna – LOL (Laughing out loud). That’s the way it is sometime, it’s right there in the drawer. Jazzii – I heard thru the grapevine that Terry Wright is in the studio recording his new CD for Coday Records, is that true and do you care to elaborate on that or do we have to wait? Anna – We are going to have to wait on that, but I will say yes he is in the studio and it’s going to be a real hot CD. I will say that we are trying to have the first single off of his new CD released by the end of April. But while you are waiting on the new single from Terry, check out James Smith and his hot single Rumble In the Bedroom. Jazzii – Yesssssssss, its rumbling like thunder with that “Rumble In the Bedroom”. It’s a lot of thunder there. Jazzii – Do you serve on any committees, if so what are some of them? Anna – Right now, I’ve signed up with Staxx to help with their membership. I gave a scholarship in 2011 to help out with the kids down there. What I’m hoping for is that other labels will fall in and start helping the kids that go there to Staxx. I’m also on the committee of the Jus’ Blues Music Foundation. Jazzii – How do you feel about the Jus’ Blues Awards and what Charles Mitchell is trying to achieve? Anna – I think that he is doing a great job. It’s something that give honor to the artists that are sometime over-looked by the main stream awards and also to help give recognition to artists that work very hard that are on Indie Label but deserve to be awarded for the work they have done. The Jus’ Blues Music Awards give the artists their flowers while they live and not waiting until they die and then jumping up and doing honors/awards/scholorships in their name. Jazzii – Are any of your artists up for nominations for this year awards? Anna – Yes, Karen Wolfe and Andre’ Lee are on the ballet and I believe that Terry Wright might also be nominated for an award. 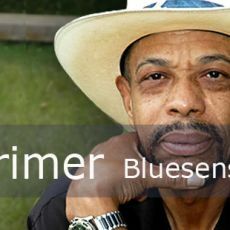 Jazzii – How do you feel the Jus’ Blues Awards differ from the other Blues Awards? Anna – Well, I rather not comment on this. No, no comment. Jazzii – What do you think need to happen in order for us to make a change in the industry? Anna – (Sniggle) The first thing we need to do is come together and help each other in this industry. Stop bootlegging the music of the artists/labels. The artists have good music but it hard to sell their music because you have the bootlegger out here that want to make a living off of someone else dime. They won’t get a job or get a job that will sustain their life style honestly they have to steal from the label and the artists and their families. The way I feel about it ALL THOSE THAT BUY BOOTLEG MUSIC AND MOVIES are just as bad as the one who are selling it. They should be punished as well because if they stop buying it, the bootleggers would have no other choice but to stop burning it. How would they feel if a thief wait every Friday or whichever day they may get paid come and take their money or paycheck? It’s no different when you have gone and worked for your money to take care of your household and someone else come and take what you have put the hours in for. Jazzii – Well you have just answered my next two questions which are: The economy has an effect on the industry and our artists with the way they are working, selling their CDs and the amount of money they are able to get….What do you think need to happen or change that can help the artists, the economy and the music business? And – I know as a label yourself you are probably no different than any of us that have labels, how has the bootleggers affected or affecting your business? Anna – I f eel like if you buy our music from a bootlegger then you are just as bad as they are and you to are a thief. Jazzii – This year the Jus’ Blues Awards are honoring some strong women in the business, how do you feel about the slothfulness of the women in the blues industry in being recognized? Anna – I think it’s coming to the point where they are beginning to honor our women in the industry and Jus’ Blues Music will be doing that this year. Jazzii - On Monday night, February 27th there was Blues at the White House, did you watch it? Anna – No, I didn’t get a chance to watch it because we were on the road. Jazzii - How do you feel about them having the blues at the White House and not having but one of the legends there and that was B.B. King and no female legends? I feel that it was disrespectful to the women in the Blues like the Queen of the Blues “Denise LaSalle”, “Jean Knight”, “Peggy Scott”, “Candi Staton”, “Millie Jackson” and I can go on and on. You may not like or care for all of their music but they are the women that paved the way for our young artist that is coming alone the way like your artist “Karen Wolfe”, “Roni” and “Ms. Jody” ect. Anna – Like I said I didn’t see it, but they are the ones that have helped to make it possible for the females coming alone today to be able to do what they are doing. They don’t talk much about the women, but they can’t stop us because when they look to the side we are there. Jazzii – How do you feel about them paying tribute to Etta James and having white artists to do it? Do you find that a little disrespectful to her, the Black Race and Music? To me that was like a slap in the face because I don’t feel like they would have gotten a black artist or let’s just say a Blues artist, to pay tribute to Willie Nelson or Elvis Presley. I live here in Memphis, TN and never have I saw a Blues Artist, R&B Artist or a Rap Artists paying tribute to Elvis and Memphis is home of Hip-Hop. I just don’t believe that they could not have found/hired a Black Artist to do that. Not making a big deal out of it, but I am making a big deal out of it because there are just certain things you just don’t do out of respect. You don’t put me in a sheet with three holes and you don’t mess around with Bill……You know what I mean. Anna – Now Jazzii, you really need to let me not comment on this one at all, because it will bring back to many memories. I know exactly what you saying, oh Jazzii if you get me to talking on this, let me just shut my mouth, ok next question. Jazzii – I understand. Well is there anything that you would like to say to our readers that I have not asked you? Anna – No, I think we have covered pretty much everything. I just want to continue to put out good music and be known as a company that kept putting out good music. And that my phone just blow up with calls saying they just can’t take that CD out of the player or they just can’t stop listening to that song and wanting to know when my artists will be in the area for them to see. Jazzii – Well, on that note Ms. Coday, I thank you so very much for this interview and I look forward to seeing you at the Jus’ Blues Music Awards and hearing more great music from the artists at Coday Records.